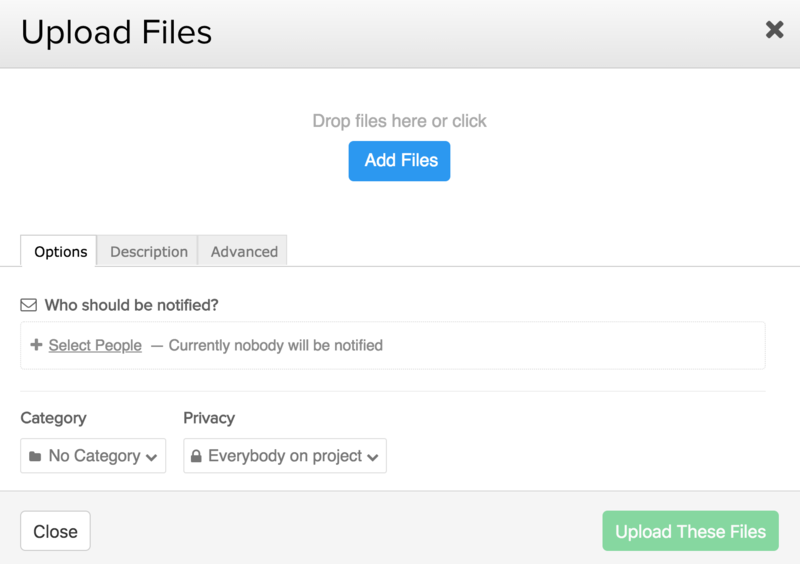 Within Teamwork Projects, you can upload files to your projects for your team to access, and to attach to other items in your projects, such as tasks or comments. 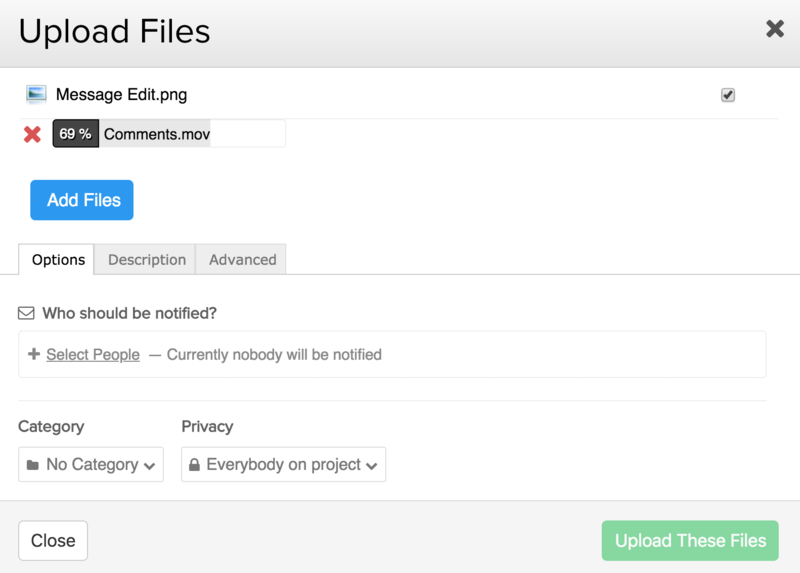 To upload files through the files area of your project, click the Upload button in the top right. In the upload modal, click the Add Files button to browse for files. Alternatively, drag files from your desktop into the modal. 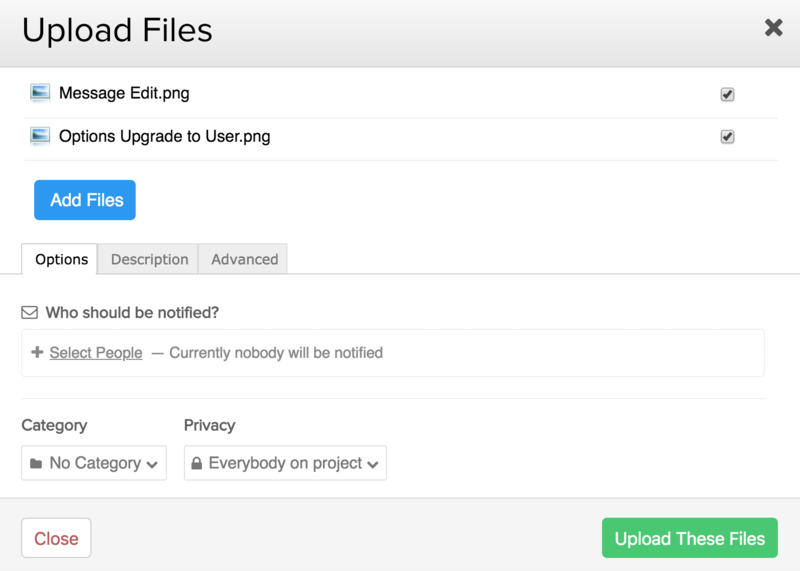 Once you have selected the file(s) you want to upload, you can select a category to add the files to, choose who to notify, and set privacy on the files. You can also add a description, and in the advanced tab, choose whether to use automatic versioning if one of the files already exists. Once you add files to the upload modal, you can deselect the checkbox beside any file you no longer want to upload. File uploads can also be cancelled during upload, a red x will show to the left of the file name. Click Upload These Files to add them to your project. If you click Close, the files will not be uploaded. Note: You can upload up to 2GB of files in a single upload.